Excellent, so you’ve decided to explore the world-class range of flamenco shows in Madrid and enjoy one – or perhaps more, as you’re likely to get flamenco-hooked! And now you’re wondering – where can I see the best flamenco show in Madrid? When it comes to choosing a tablao (what’s a tablao? ), remember this mantra: “A tablao is only as good as the artists that are performing that night”. But sure enough, there is a few tablaos you can trust to have great artists performing virtually every night, and which are handily smack-bang in the centre of Madrid’s gorgeous old town. 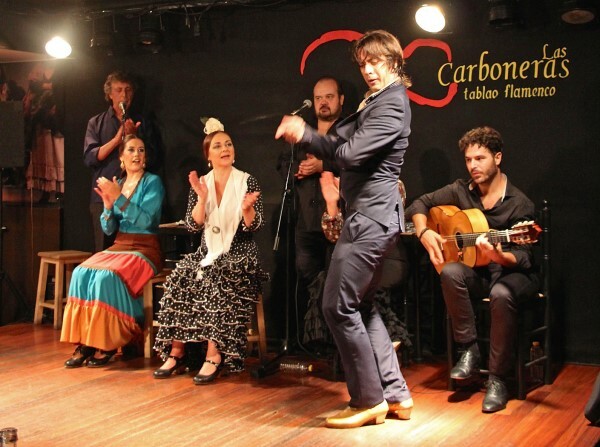 I’ve listed below my four favourite flamenco venues to see the best flamenco show in Madrid. This tablao was founded in 2000 by three flamenco dancers, and you can tell! Their love of flamenco is apparent in their selection of artists, which changes every fortnight, and in the absolute respect shown for the artists while the performance is on. You can tell that the performers feel right at home here. They’re having a flamenco party and you’re lucky enough to be able to watch them celebrate! The show price is €36 and it includes a drink. Don’t let the blinged-out Moorish decor turn you off – the eye-popping Andalusian tiles and arches are a gorgeous setting for excellent nightly shows. 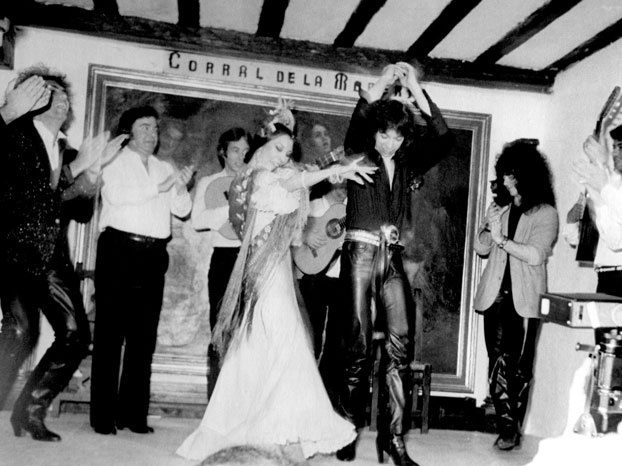 Villa-Rosa is one of the oldest tablaos in Madrid, and it has played host to mythical flamenco stars like Imperio Argentina or Juanito Valderrama. They have a range of prices to suit all budgets, including discounted tickets for kids and cheap-as-chips lunch-show combos on Sundays. I always get the flamenco shakes whenever I go in this place. There is an old tavern at the front of the venue, and the tablao itself is at the back. Grab a caña at the bar and immerse yourself in the ambiance that builds up every night before and especially after the show – mostly if it’s the weekend! Shows are €38 and include a drink. Besides their brilliant programme, they run a fantastic flamenco concert programme upstairs, in the Sala García Lorca. Very popular with flamenco aficionados, these concerts feature true flamenco singing and guitar legends such as Remedios Amaya, Capullo de Jerez or Niño Jero. Founded in 1956, this tablao is internationally-renowned and boasts a classy programme that changes weekly, if not daily. The cost is €50 with a drink, or if you’re in for a blowout, you can opt to have dinner before the show (20.30) and then head for the main lounge to watch the 22.20 show. The food is traditional with a twist – I’d kill to have their cocido madrileño broth topped with a perfectly runny egg yolk more often in my life. Don’t miss the fabulous floor to ceiling wall-of-fame, featuring photos of a wide range of celebs from Kiss to Justin Bieber to Harrison Ford – just a few of the greats who’ve received their flamenco baptism of fire within these white-washed walls. If you’re coming to Madrid and want to know more about this fascinating flamenco world, I offer private flamenco tours during which I’ll give you a full and fun understanding of this fabulous art form, lead you through the city’s flamenco neighbourhood and take you to the best flamenco show, hand-picked by me! Ma favourite place is Cardamomo, but Corral de la Morería is also very good. Thanks for your comment — both venues consistently have great artists, something to be thankful for! :-). Great guide, will post a link to it from our site, thank you! Are flamenco shows just for tourists?